Wood floors are a major investment, but like any floor’s surface, they take a beating with the foot traffic, accidental spills, accumulation of dirt, dust, debris, and other particulates, along with other filth that is tracked from the bottom of shoes. The wood floor are fairly sturdy, though it has it weaknesses to water and abrasive objects. 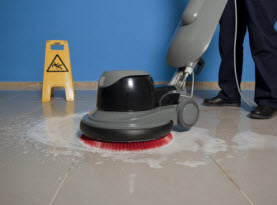 When the floors properly cared for and cleaned, they can last and in optimal condition. Today, we at CA Water Damage Cleanup and Carpet Cleaning would like to share some tips on how to clean your wood floors when they need more than a dust mopping. –	Your choice of – Vacuum (either designed for hard surfaces or with a bare floor setting) soft bristle broom, or dust mop. –	Bucket of warm with several drops of mild liquid dish soap. –	Several Dry microfiber cloths. 1) Clear the Floor. 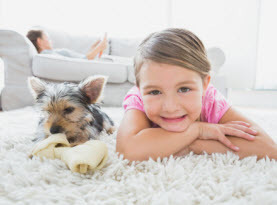 Remove as much of the rugs and furniture as possible to ensure efficiency. Place furniture pads on the legs of the furniture to make them easier to remove and avoid any scuff marks and scratches. 2) Sweep, Dry Mop, Vacuum. Removing the surface debris is essential; ensure the all the corners and edges are equally removed. 3) Going with the Grain, Wash the Floor. Floors that are polyurethaned can be washed with the bucket of warm water the few drops of liquid dishwashing soap. Whether you prefer hands and knees with a microfiber cloth or a microfiber mop, wash the floor with grain of the wood in smooth strokes. Approach the floor in sections so after you wash a section, immediately dry with a microfiber cloth. 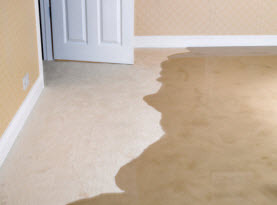 Don’t use water if the floors are lacquered or shellacked or it can stain the wood and potentially cause buckling. Use a specifically designed wood floor cleaner instead for hardwood and engineered wood floors. 4) For an Extra Hardwood Floor Buff. To ensure the residues from the soapy water are gone or the cleaner used specifically for wood floors, as you dry the floor with a microfiber cloth, use circular motions with gentle pressure. 5) Restore Hardwood Floor Shine. Depending on what type of wood floors you have, use an approved wood floor polish or many times the wood floor cleaner will shine the floor at the same time. Always follow manufacturer’s directions when using commercial products and keep your wood floors as dry as possible during the process. Additionally, avoid using abrasive tools. 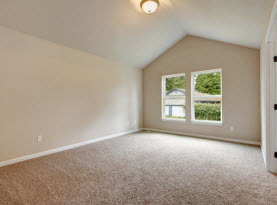 Once the floors are completely dry, you can replace the furnishings and rugs. When your hardwood floors need a deep cleaning or refinishing, call in the experts of CA Water Damage Cleanup and Carpet Cleaning and let our professionals do the rest. Our specialists have the experience and equipment to make your wood floors look amazing. © 2015 Water Damage Clean Up. All rights reserved.